My experience caring for my father certainly helped in the writing of the book, but Arthur is not my father, although they share some characteristics: a fondness for bad TV, chocolate ice cream and beautiful cars. Arthur is a much better cellist than my father was and far better traveled, but my father was undoubtedly handier around the house (and in the operating room). 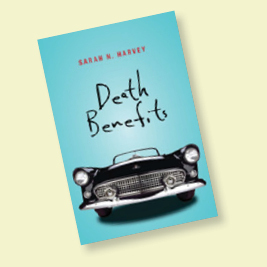 By the time I finished writing Death Benefits I felt that I , like my narrator, had come to terms with the life and death of a very challenging, very special old man.